The Kalona Brewing Company’s signature IPA, Sucha Much, was named after a song by Paul Cebar and the Milwaukeeans titled “She’s Such a Much.” According to Lew Brewer, Kalona’s co-owner and head brewer, the song is about a girl who is “such a much.” “We just felt that way about the beer,” he said. While I am unsure what “such a much” actually means (maybe that’s the point—I’d need to listen to the song), I do know that Sucha Much is one good IPA. That is why it is April’s beer of the month. Serve Sucha Much in a shaker pint glass. The color is deep gold with an amber tint. A half-finger of eggshell-colored head leaves a bubbly lacing and ring around the edge. An enticing aroma of citrus and tropical fruit wafts its way toward the nose from an arm’s length away. Up close, scents of tangerine, mango, grapefruit (perhaps ruby red) and orange are strong and invigorating. There are also hints of strawberry licorice, candy caramel, toasted malt and pale malt. The mouthfeel is full-bodied and creamy. The flavors are a citrusy-tropical blend of grapefruit, tangerine, mango, orange and lemon. The bitterness imparted by the hops is long-lasting, coating the tongue and cheeks. Though the citrus and tropical fruit flavors lose prominence as the beer warms, caramel, honey and pale and toasted malts become much more noticeable. Though Sucha Much is on the boozier side, weighing in at 7.1 percent ABV, the alcohol is completely masked. 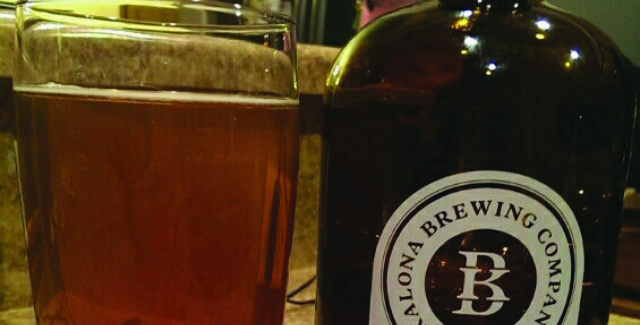 Sucha Much is on tap at Kalona Brewery, as wellz as at local bars and restaurants. It is sold in 32-ounce mini growlers, and Brewer said that 12-ounce cans should hit local beer shelves sometime in April. Alcohol content: 7.1 percent ABV. Food pairings: Sucha Much pairs well with steaks, roasts and soup, Brewer said. He and his wife often pair Sucha Much with takeout from Thai Flavors, including green curry with chicken, Pad Thai and dishes with peanut sauce. Where to buy: Sucha Much can be found at most local beer retailers. It is also on tap at a number of downtown Iowa City establishments and at the brewery in Kalona. Price: $10 per 32-ounce mini growler. For the full article visit the Little Village website.